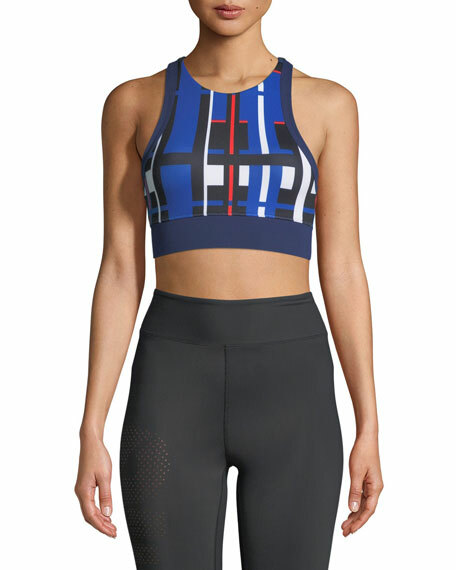 P.E Nation "Stop Start" sports bra in geometric-printed fabric. Technical fabrication for extra support, resistance, & recovery. Four-way stretch with sweat-wicking properties. Double woven jacquard under-bust elastic. Ideal for mid-high impact workouts.